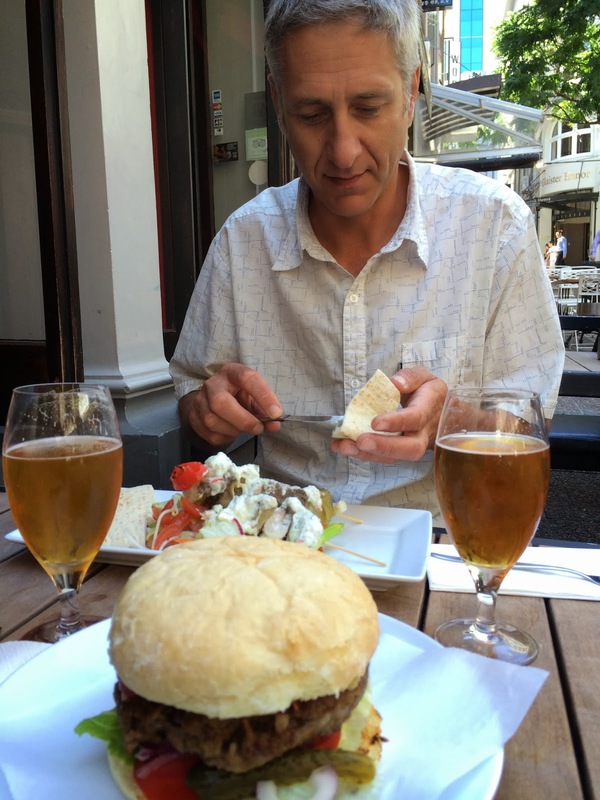 Craft Beer Trademarks have hit the news again here in New Zealand, and the industry is all a buzz with the different things going on. DB Breweries, the second largest brewer in the country that has been able to trademark the beer style “Radler”, to the embarrassment of IPONZ, is in the spotlight again. (at the time I said it was a silly decision, but IPONZ would lose face by backing down on their decision). A great article was written last week Get Radler Back by Jono Galuszka on the back of an email to the industry from Carl Hadler about his “Get Radler Back” campaign. He told me that he had reversed his application for the word “Chinook” for his beer. Which was the only thing he could have done as a small brewer, with the wraith of the craft beer community. A boycott of the craft beer drinking public could have been devastating for his business. It was a useful chat as it raised things for me too on how does one make sure they trademark the correct brands, and sub brands, and not just waste a bunch of money on trademarking everything. I have had a recent learning, and a few other experiences with defending trademarks but still not 100% on when and where it is appropriate to trademark something. Trademarking everything, and then again for every market you might export to does become prohibitive for small breweries. Especially as most breweries brew multiple seasonal, specialty and one off beers. I’d like to call out Dominic Kelly of Hashigo Zake as the craft brewing industries best champion for trademarks. I know he is always first to call out when someone is registering a trademark in the beer Class 32. I am personally grateful for him alerting me to someone trademarking the word Zombie in a bunch of Classes including 32. I didn’t have Hop Zombie trademarked. If this trademark had been accepted, then I could have been stopped from making Hop Zombie, as someone else would have owned the trademark on Zombie for Beer. I was able to write to the person applying for Zombie, ask if they could remove Class 32, they willingly complied. Thank god, and Dom. Then I followed up by then trademarking “Hop Zombie” in Class 32. Cheers Dom. 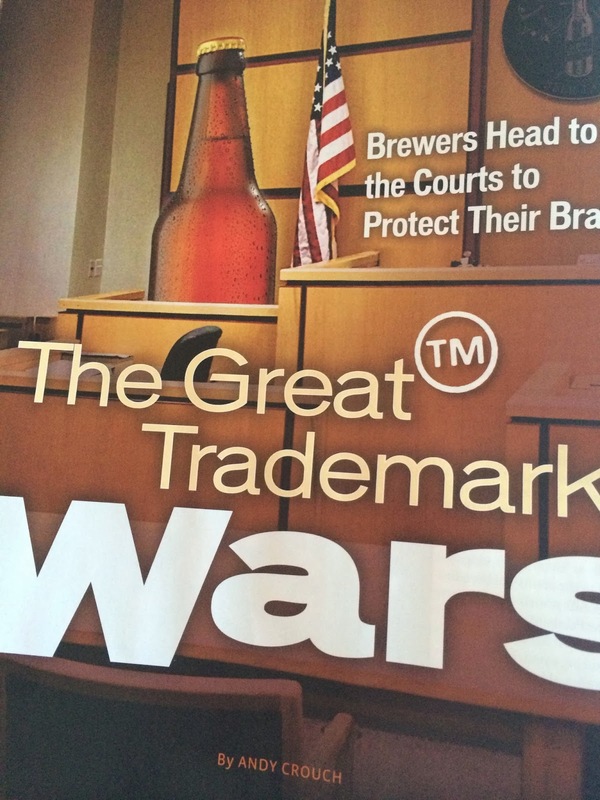 Once you have a trademark for your beer, you have to also defend it, and that isn’t always a nice thing to do. I had one experience with a brewery in Australia a number of years ago that made a beer and named it Epic Pale Ale. So I sent a cease and desist letter to say, hey that isn’t cool that you are using my beer name, which is trademarked. They stopped. As for the issue I have in the USA (and globally) with another company of the same name that opened 5 years after us, all I will say at this stage is it has taken a bit of money and time. Trademarks have been a very topical at the Craft Brewers Conference for the last couple of years, and again this year Denver, 8-11 April, they have three seminars on this topic. There is still time to book and attend the CBC in Denver, and there is a large number of NZ and Australian brewers attending this year. This seminar is presented to raise awareness of intellectual property issues commonly faced in the brewing industry. It provides helpful tips to address these issues up front to avoid costly legal problems. This seminar is designed for brewery owners, managers, employees and anyone with a desire to own a brewery or brewpub, as well as those in the business of distributing beer. This seminar focuses on how unique branding is good for business and provides some ideas of how to identify and resolve branding conflicts in a manner that allows craft brewers to retain our sense of community. Eugene Pak, Wendel Rosen Black & Dean LLP; Richard G. Norgrove, Bear Republic Brewing Co. The past few years have seen unprecedented growth in the craft beer industry, and a corresponding rise in the number of trademark disputes between craft breweries and others. Now more than ever, both new and existing breweries have to be careful in adopting and promoting their beers and brands. This presentation will provide brewers with the information they need to protect their brands, and ideas for how to avoid or handle trademark disputes. Eugene Pak brings to bear his experience as trademark attorney who has filed or handled over 1,000 trademark applications, negotiated co-existence agreements, and litigated trademark infringement cases. Richard “Ricardo” G. Norgrove is co- owner and brewmaster of Bear Republic Brewing as well as the creator of their iconic brand images and labels including Racer 5, Red Rocket Ale and Hop Rod Rye. The US Craft Brewing Industry has many examples of trademark issue, some very public, here are a couple of links for extra reading. This reminds us of the recent Sierra Nevada Brewing Co. and Narwhal Brewery dispute. Last year, Sierra Nevada launched its Narwhal Imperial Stout, but it just so happens there was already an upstart Brooklyn brewing company using that name (“Narwhal Imperial Stout”), and they were called Narwhal Brewery. Of course, Sierra Nevada applied for a trademark and Narwhal didn’t The latter is now called Finback Brewery. It’s a tough legal lesson to learn, so (in our opinion) craft brewers need to trademark beers and brands before they even start distributing. Your goal is to find a brand name that is not confusingly similar to other products already on the market for beers or other products that may be related to alcohol or beer consumption. The goal of trademark laws is to prevent confusion among consumers as to the source or origin of products or services. In general, getting a cease-and-desist letter from a big corporation isn’t the mark of a good day. But after a brewery owner got a letter from a law firm representing Starbucks, he saw a chance to draw distinctions between the businesses — and to be funny.